RSMeans has been the standard for construction cost estimating for 70 years. 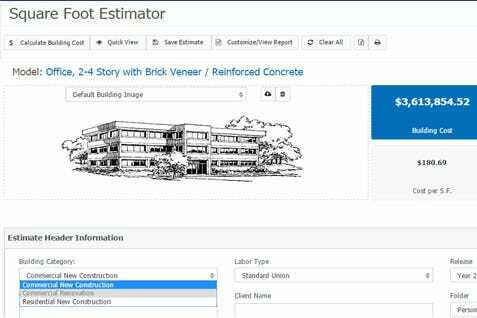 Watch how to quickly and easily build your square foot estimates within RSMeans Data Online with our Square Foot Estimator tool (available with any online data set at the Complete tier). Square Foot Models built with costs for new commercial and residential construction. Available with any online data set at the Complete tier, including the Square Foot Estimator tool. Square Foot Models built with costs for commercial renovation work. Available as an online data set and includes the Square Foot Estimator tool. Quick and easy conceptual estimates based off RSMeans square foot models, without the underlying data or customization capabilities. 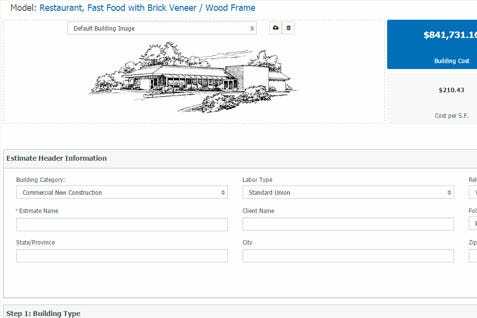 our Construction Cost Estimating Software.